Collection number 15312 in the UBC Herbarium Algae Database. Search the collection number or species name in the database for more details about these specimens and other occurrences of this species. Images courtesy of Sandra Lindstrom. Mazzaella californica is a red alga. 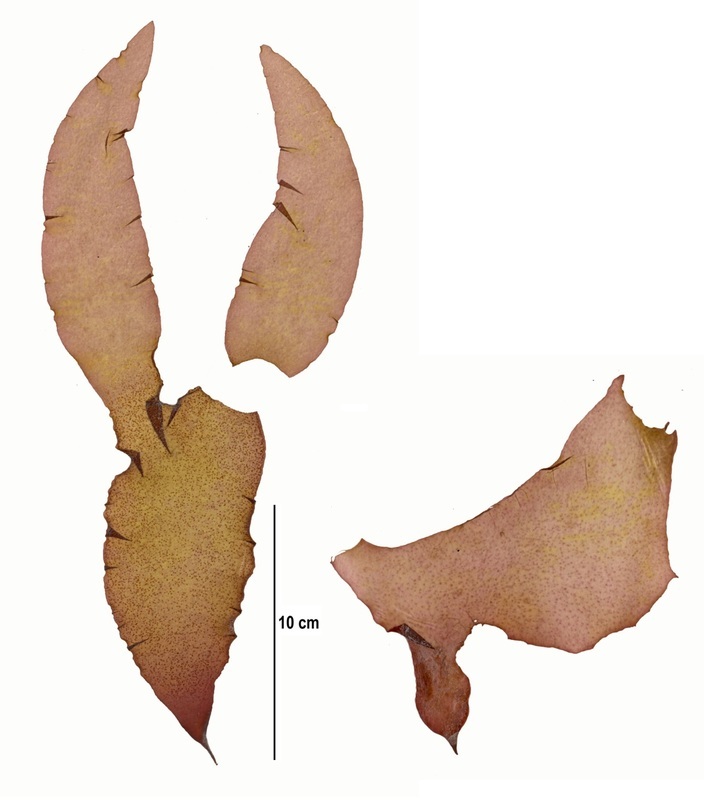 Most Pacific Northwest species in this genus (commonly called rainbow-leaf), besides iridescent horn-of-plenty (M. parksii), have large blades (usually 20 cm or longer) and are iridescent reddish-purple to yellowish-brown. 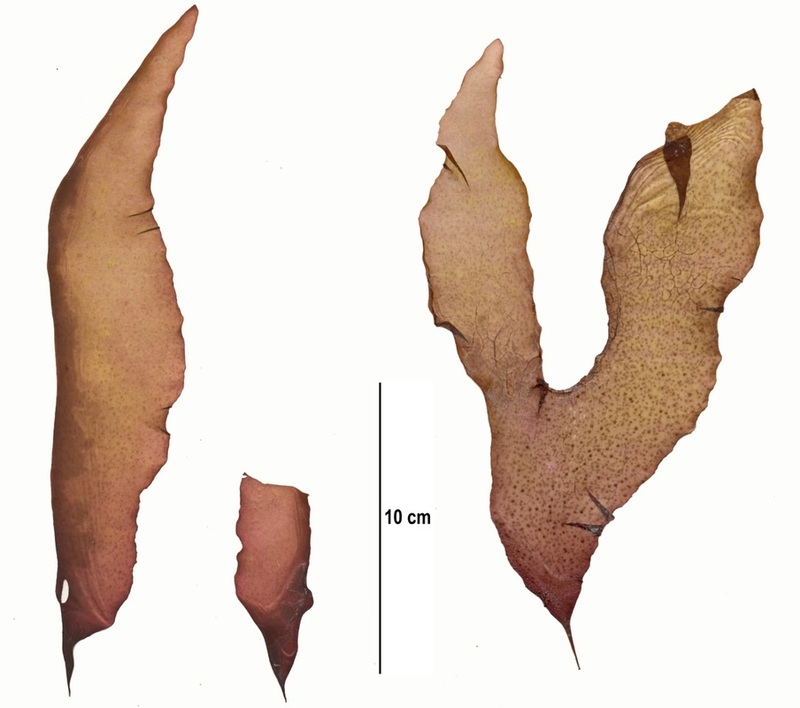 Like other red algae Mazzaella species exhibit an elastic quality when gently stretched. They grow in the low to mid-intertidal, and range from Alaska to Mexico. The above specimens were found growing on rock surrounded by sand in the low intertidal of a somewhat protected Calvert Island beach. This species has been reported from Mexico to Calvert Island on the Central Coast. Similar species found on the BC coast include splendid iridescent seaweed (M. splendens), and northern mazza weed (M. oregona). See the AlgaeBase species page for more photos of M. californica. Guiry, M.D. & Guiry, G.M. (2015). Mazzaella californica (J.Agardh) G.De Toni. AlgaeBase. National University of Ireland, Galway. Accessed 10/04.2015.